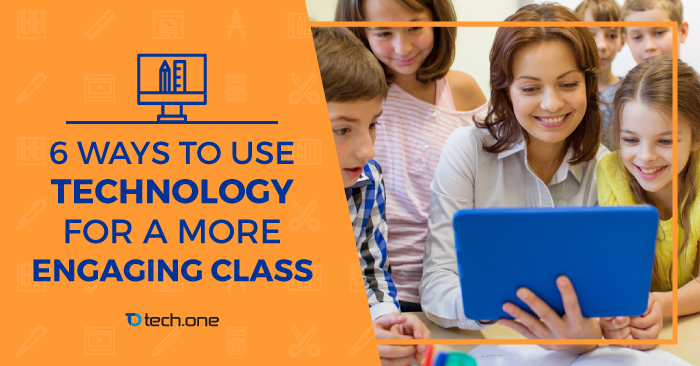 6 Ways to Use Technology for a more Engaging Class. It has always been a struggle for every teacher to make classes fun and engaging. It is probably the greatest challenge of teachers to make their students understand the lessons. With the decreasing average attention span of man — which diminished to 8 seconds as per researches conducted in 2015 — getting the students’ attention is becoming more difficult. A teacher must think of ways where students can have fun along with understanding the lesson. A traditional way of getting the students’ attention is making them participate in recitations, but how can a teacher actually hook the whole class to the lesson? Games as a mode of teaching is already established effective. Using technology for classroom games is like hitting two birds with one stone because most students now are distracted by these computer games. If the teachers integrate classroom games with technology as a platform, they will be able to turn the students’ distraction to an attention-getter for a class. As of July 2016, there are 1.71 billion active Facebook users per month. On a survey by Pew Research Center, 81% of teens aged 12-17 uses social media as of 2012. Normally, teachers would reprimand their students for being online instead of doing their homework but hey, what if social media sites are used as a teaching material? You can use Twitter as a polling tool to conduct surveys for your students and you can also use the hashtag feature — besides, Facebook groups and group conversations are already being used for collaborations and Instagram instills motivation through photos. Gone are the days when students love using their laptops and computers to type in their long essays, homeworks and PowerPoint presentations. Today, doing such things became a burden to them. It’s challenging for teachers to think of an assignment that the students will be excited doing. Replace PowerPoint presentations with video presentations, written homework with podcasts, and written daily journals with blogs. Web hunts are used to develop a student’s web researching skills. This is like a step-up on the researching activities in the library. The challenge is how can the teachers make the search worthwhile since searching on the internet is much easier than searching through encyclopedias. Use webpages for a class by posting announcements, student outputs, class photos and activities. This can be a source of encouragement for students to do better and it can also build a healthy competition among students to motivate them to participate in class. Through email engagement, teachers would not only know their students more but can also address a student’s problem immediately and attend to a common concern on the next class. Through introducing the use of email in class, the teachers are also familiarizing the students on how to properly write an email for future use — since it’s not a common thing to teach students how to use emails. Technology and teaching can work together for one goal as long as technology is properly integrated. These are just some of the ways a teacher can do that flawlessly. Have you used these on your class or do you have another approach? Comment your thoughts below!